Four blankets done ! 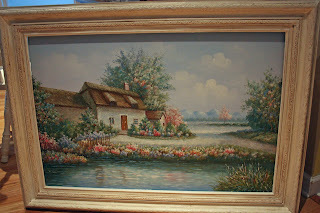 One is on its way to a new home for my sister in laws birthday..hope she likes it ! The african flower I made for my daughter..she is still sewing in the ends..that was our deal..I make it , she sews in all those ends ..lol.. 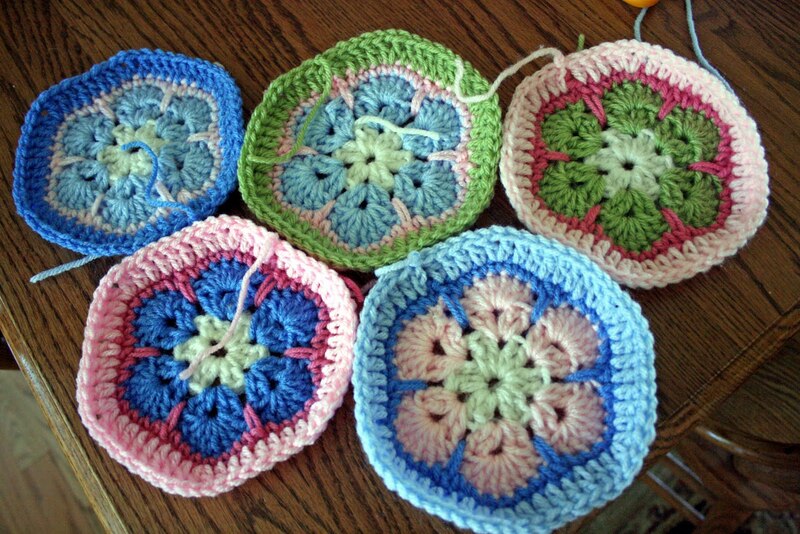 The granny stripe is for one of my sons..I am making the new african flower for myself, I am using 6 colors and white..3 shades of pink, 2 blue, 1 green. 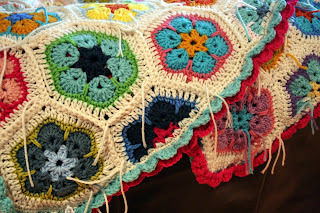 It's all done ! It is for my 13 year old son..it was easy and fun !! I used the pattern from attic 24..very simple !I did 3 rows of sc around it for a border. 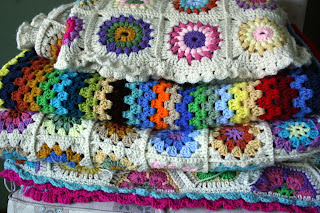 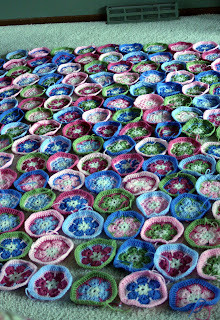 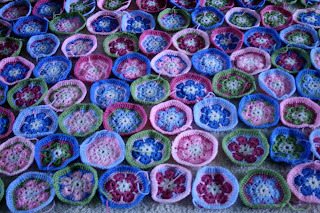 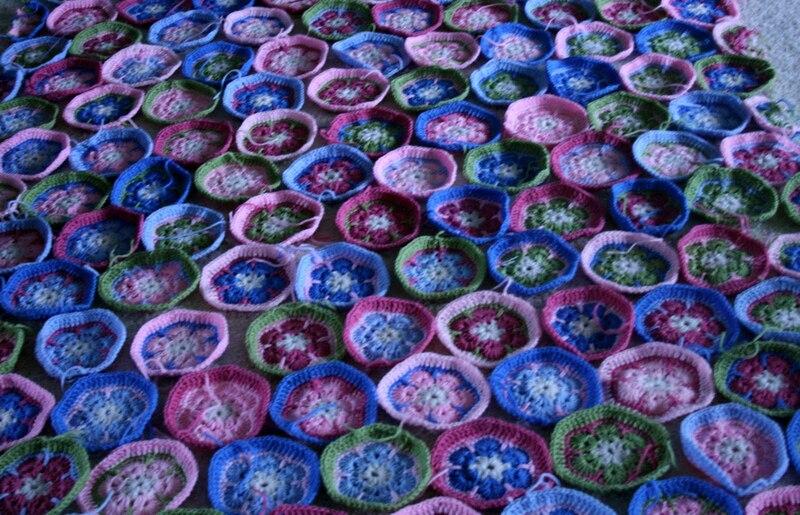 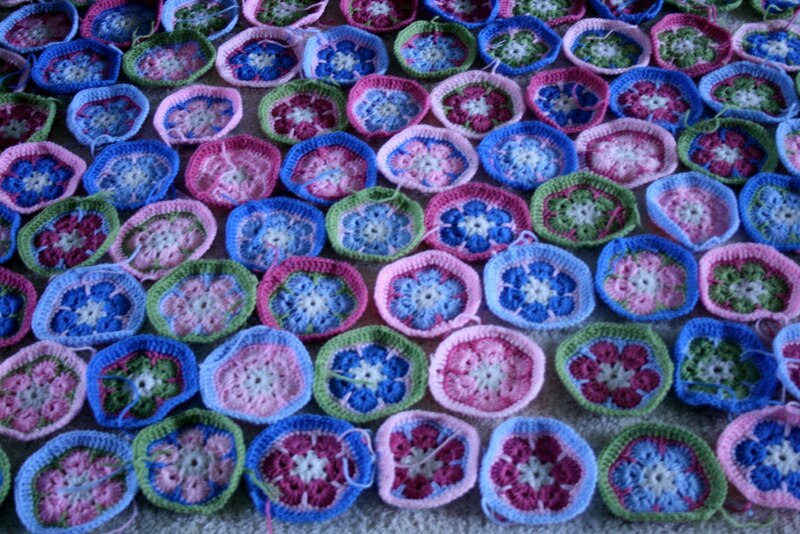 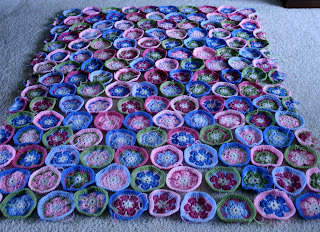 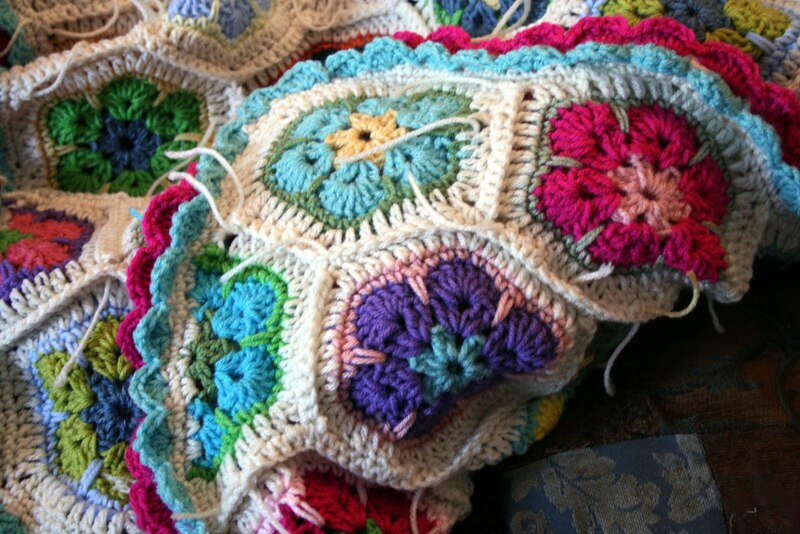 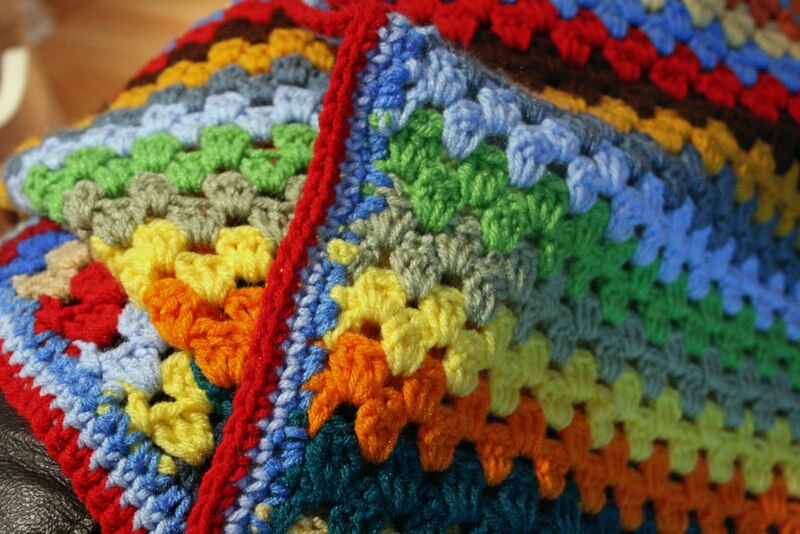 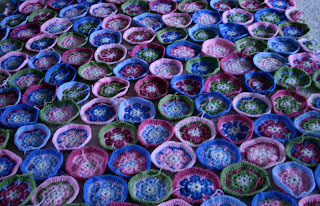 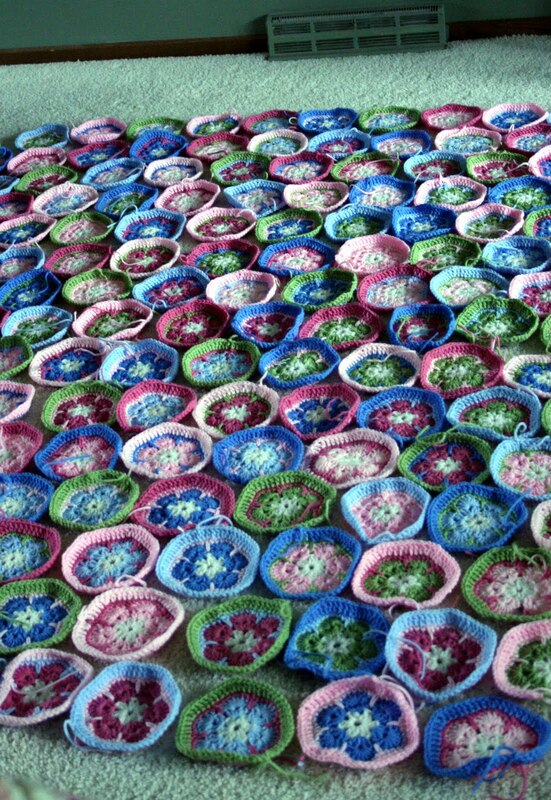 I am starting another african flower blanket for me this time.. 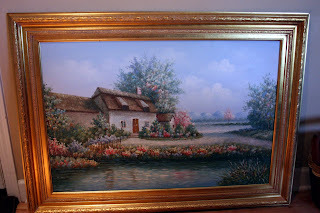 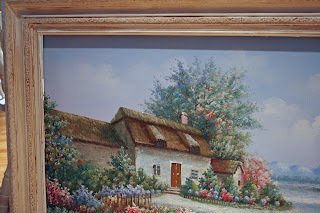 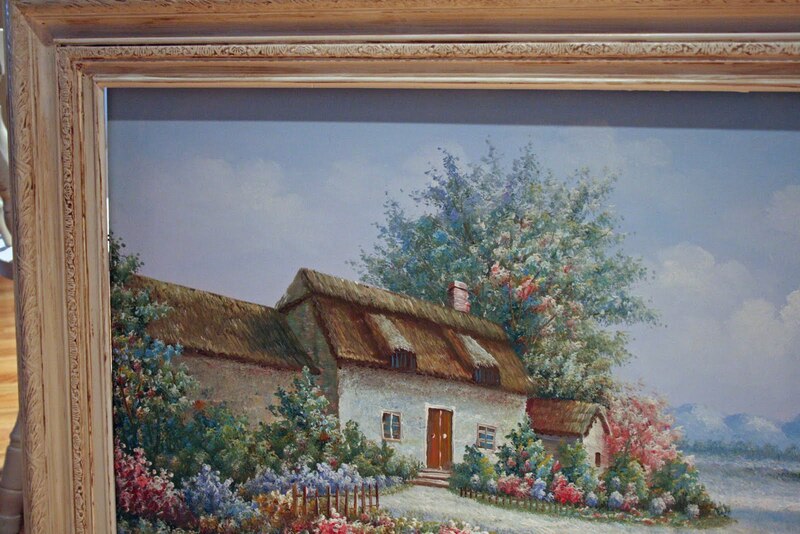 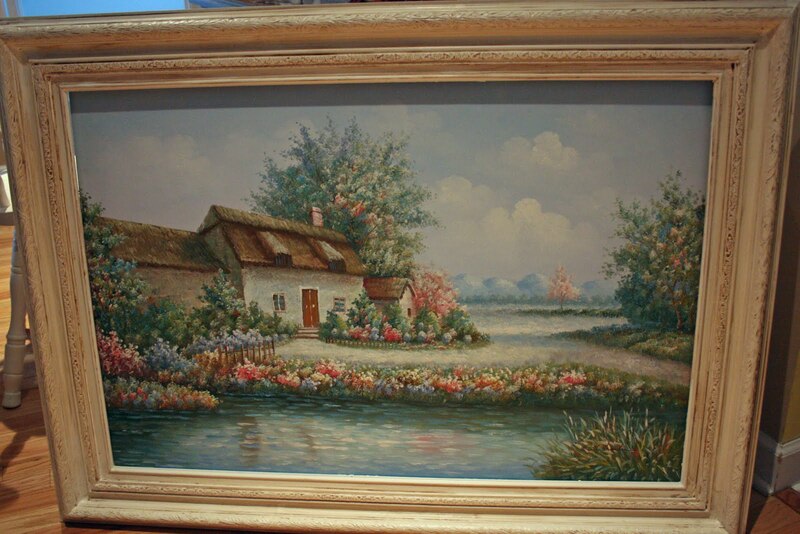 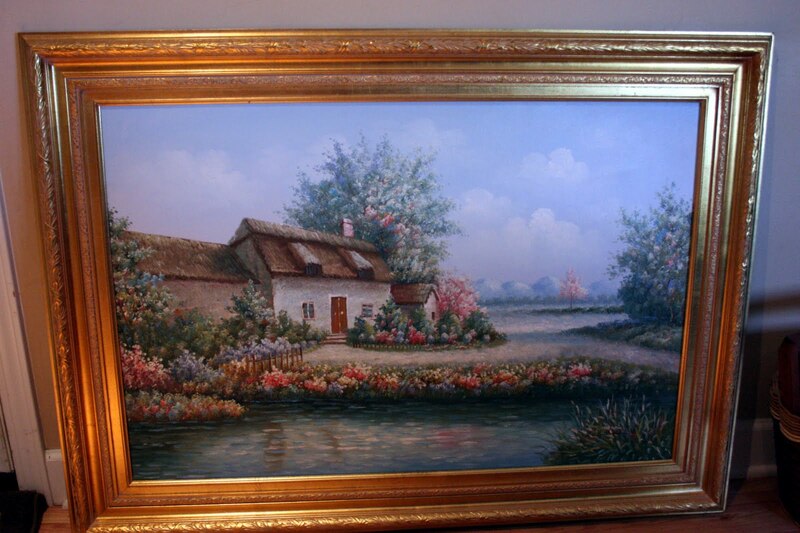 I got this painting at a garage sale for $10.00...It is huge and was in a gold frame with a light on the top..I primed with kilz , painted cream and then used glaze and brown paint .I love how it turned out ! 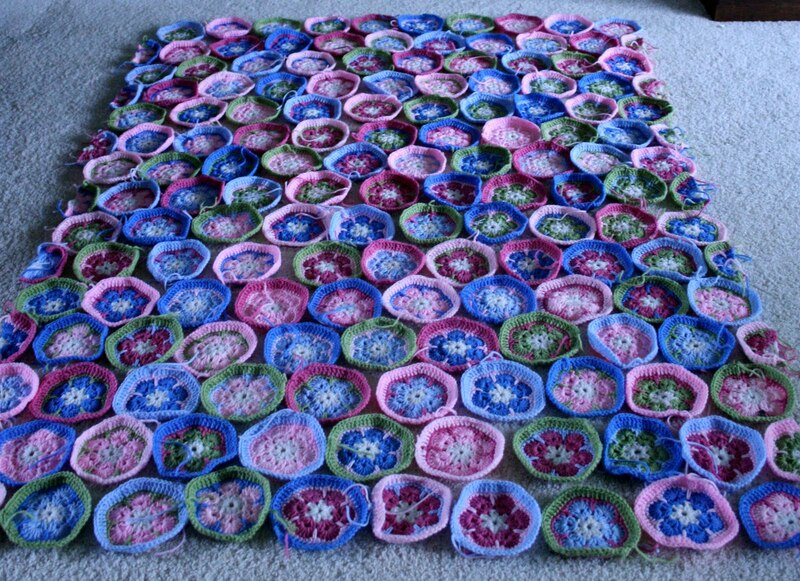 It's done ! 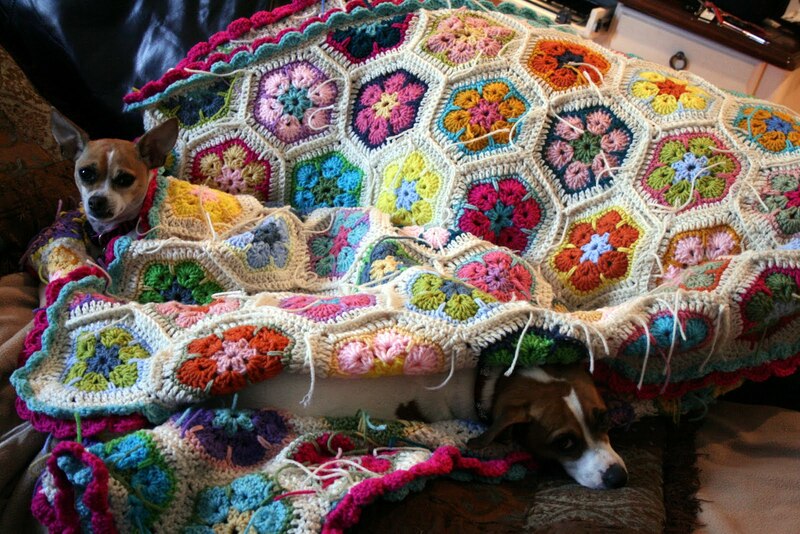 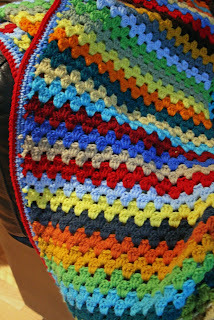 The dogs think it belongs to them ..I put a double edge on it ( directions from this blog http://http//byelizabethcat.blogspot.com/2010/05/double-edging-now-know-how.html half hexagon directions from this blog http://http//www.crochetbug.com/the-morning-after/comment-page-1/#comment-1176 It was a pretty easy project.. 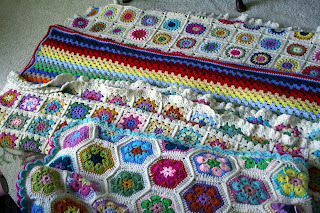 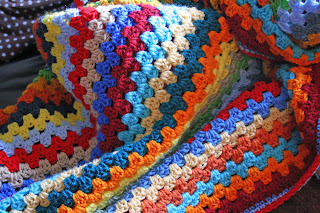 I have started on the next which is a blanket for my 13 year old son..I am making the granny stripe . 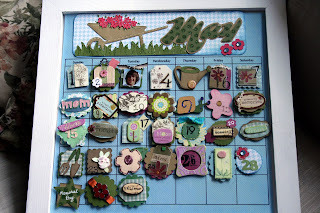 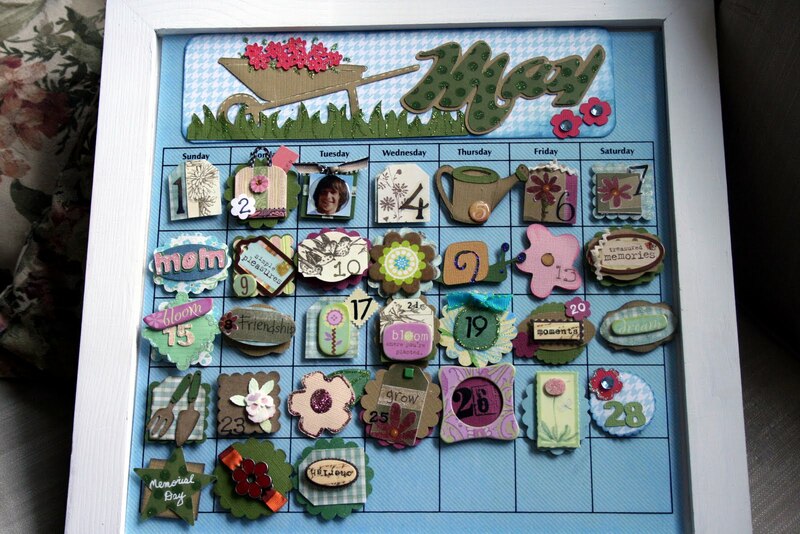 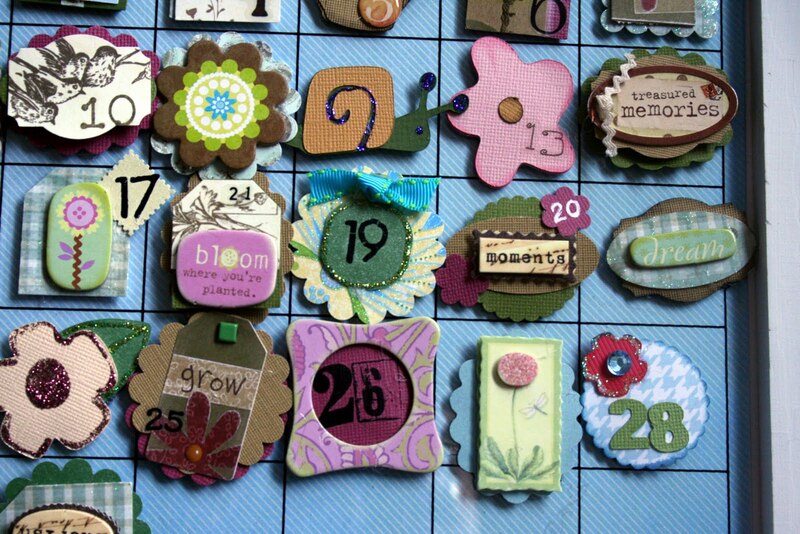 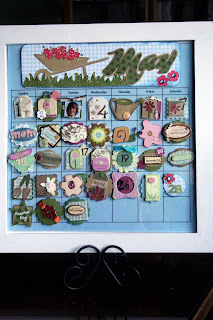 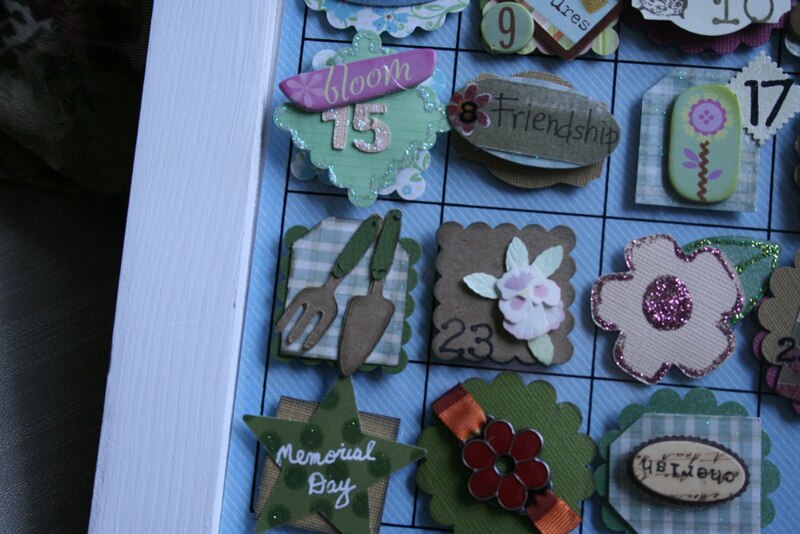 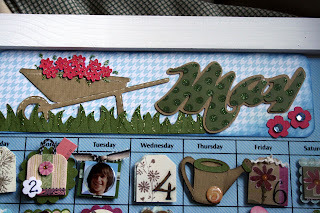 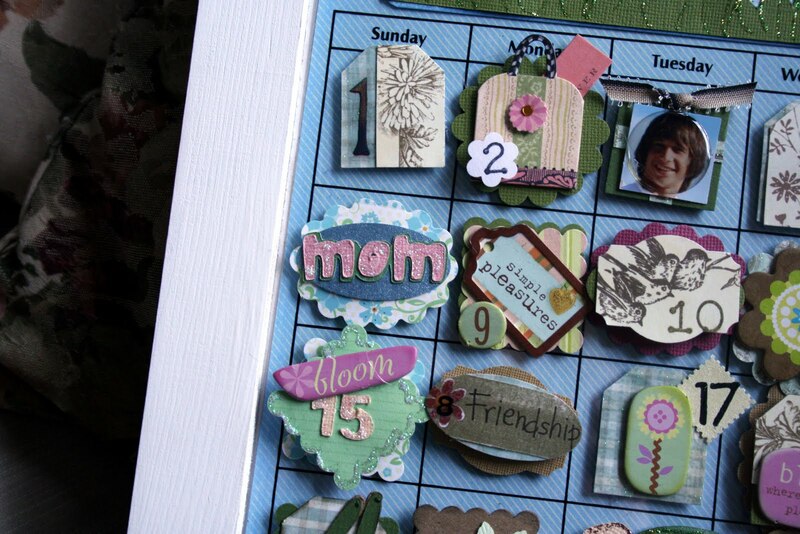 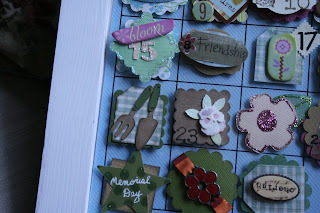 Our May calendar, made with a magnetic base http://https//www.hannahs.com/paper-crafting/calendar-kits/12x12-metal-calendar-base.html can be purchased here. 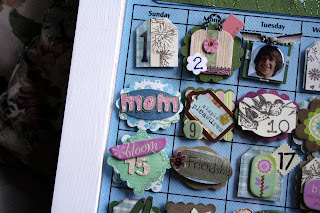 Lots of scrapbook supplies , and my daughter and I used the cricut for the title and some of the pieces.